If your first steep is less than 4 minutes, try steeping the leaf again for 4-5 minutes. The bushes and trees that are plucked to make our Yunnan black teas represent different generations of plants and are comprised of many unique cultivars found growing throughout the heavily forested mountain tea growing regions of Yunnan. These varietals and cultivars are broad-leafed varieties – known collectively as dayeh – that produce large, long leaves that reflect the richness of their forested habitat and the plants close genetic connection to the wild tea trees of Assam India – Camellia assamica. This habitat and size is one of the reasons why Yunnan black teas are so rich and full in the mouth. The key to ageing these teas is proper storage (cool and reasonably airtight – a ceramic jar is ideal) which will serve to underscore and preserve the inherent concentration of flavor elements that premium Yunnan leaf has in abundance. We are devout fans of Yunnan dian hong teas from the Feng Qing area, especially when the tea has mellowed a bit as this one has. This tea growing area contains more old growth tea trees, wild tea trees and old plantation-style tea gardens than almost any other place in Yunnan. 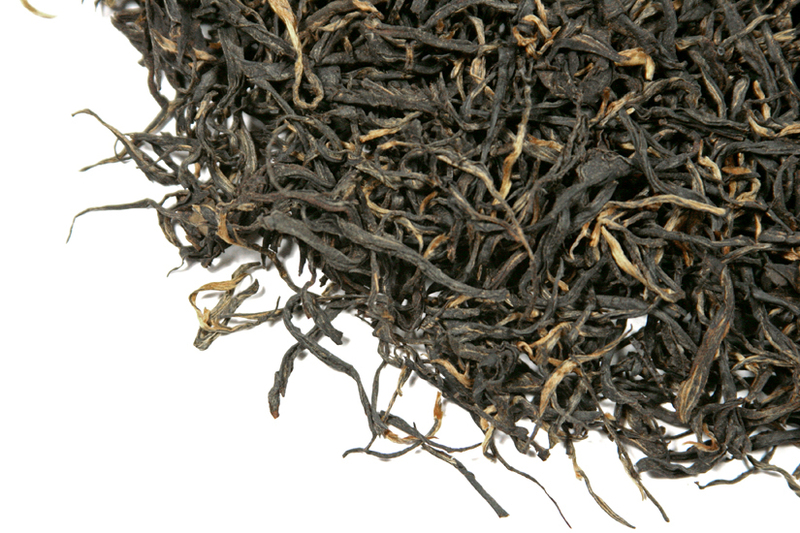 These black teas are easy to drink and have wonderful and unique characteristics in the cup. 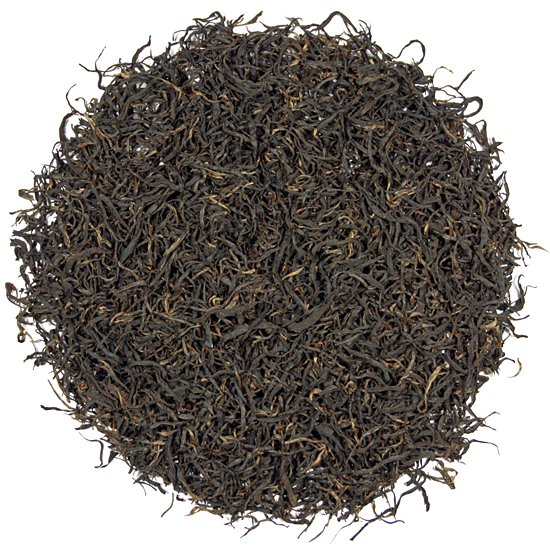 Since this luscious tea has arrived in our store it has become one of our ‘go to’ Yunnan dian hongs. What we love about the Feng Qing tea factory is that they are capable of manufacturing so many different dian hong ‘tastes’ from the abundance of different fresh tea leaf materials available in this area. All of the Feng Qing tea we currently have or have had have been unique one to another. This tea is made from the pure buds of high-altitude large-leaf old plantation tea bushes (old varietals) that are 60-80 years old. The beauty of tea made from old large-leaf tea bushes is in the soft, mellow, slightly sweet nature that these teas possess. While young tea bushes are full of vigor they can also produce tea that has sharp and thin notes – not so with these mature tea bushes. This tea has an underlying sweetness and a full, complex flavor and rich, cocoa-y aroma that complements the necessary structure of a well-made Yunnan black tea. Controlled withering and short oxidation in the manufacture contributes to the smoothness and full flavor of this tea. It is a nice balance of just enough cocoa, just a little malty caramel sweetness and a solid black, China bush tea flavor. The beautiful, fairly-straight & long, needle-shape of this leaf is achieved by careful and skillful hand-rolling. No matter what the problems of the day are, we find that a cup of this tea refreshes and re-invigorates our spirits.